A fine, vintage classic Epidote prism in perfect condition with outstanding provenance. Ex Clarence Bement, American Museum of Natural History, Jeff Glover and the Larry Conklin collections with other labels as well. 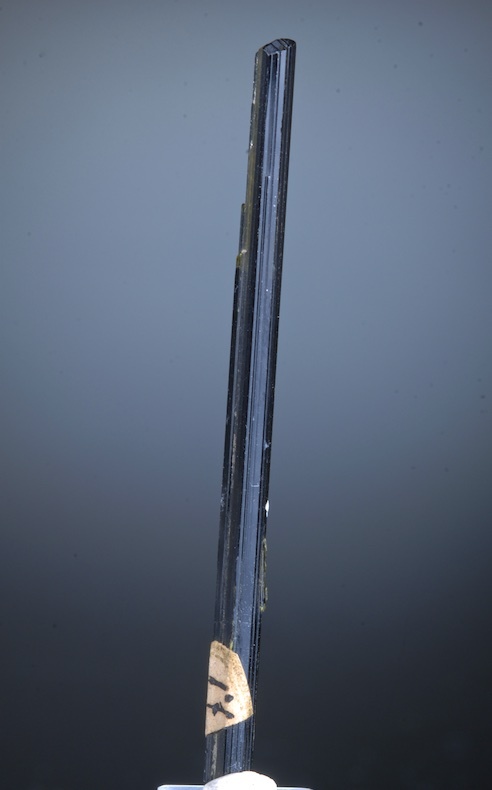 The slender prism is transparent, sharp, lustrous and well terminated. This sort of Epidote is rare from Switzerland and this one (donated to AMNH in 1910) was collected well over 100 years ago. The Bement collection was at one time considered the finest ever assembled in the Americas, it later formed the heart of the AMNH collection. 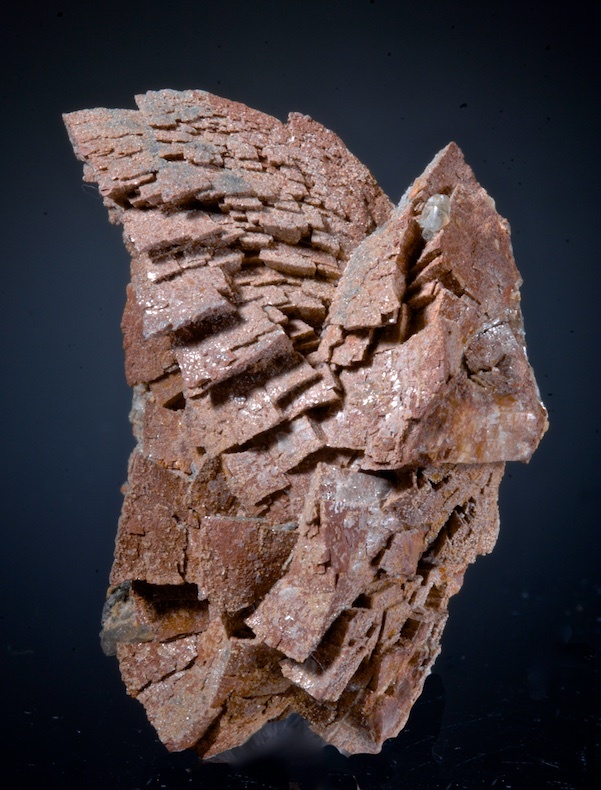 Bement pieces are rarely available and this Swiss Alpine specimen is a choice one. One last note there are discrepancies among the old labels regarding the location, several list Zermat as the source, but research by later collectors indicates this is a Grisons (Grischun) piece. 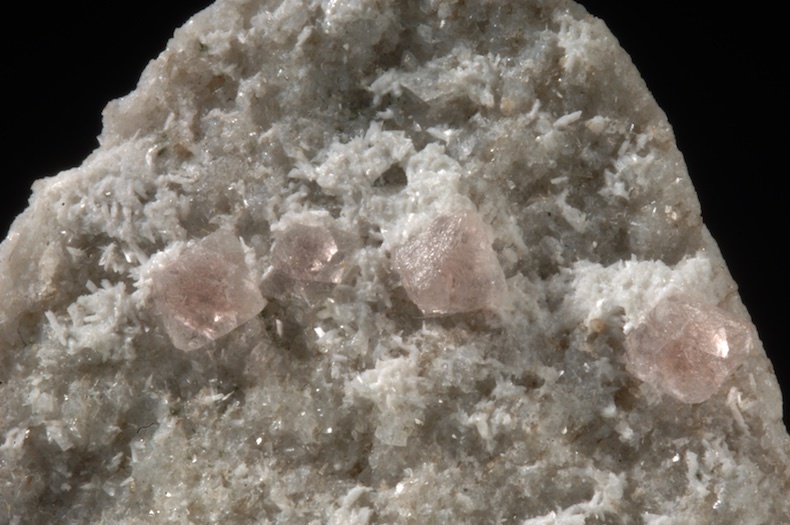 A cute, small classic style pink Flourite specimen with tiny but perfect octahedrons scattered on a matrix of Adularia crystals. If these were a bit bigger this would be a very expensive specimen, any good Swiss alpine Fluorite is one of the great goals in the mineral collecting world. These small crystals are choice but obviously small and so very affordable for one of these. A matrix plate with clear light green Prehnite crystals to 1.4 CM scattered with smaller Prehnites and some tiny Epidote and Byssolite. Classic specimen, ex Charles Noll collection and a much older label from an unknown collection. 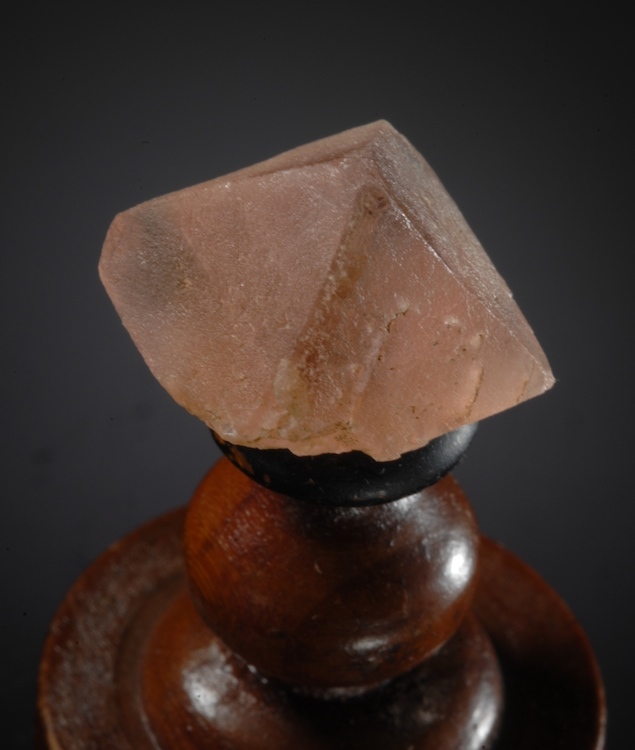 In fine condition overall, the main crystals are pristine. 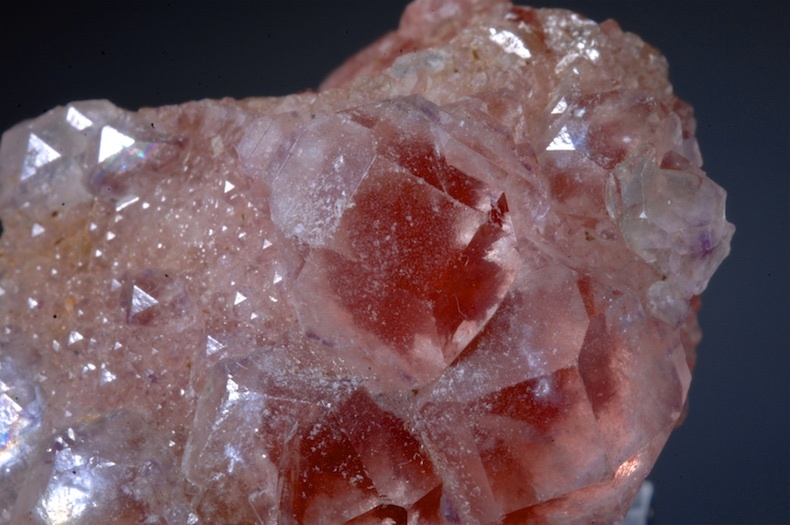 Some crystals are also on the underside but the view shown is the logical display face. 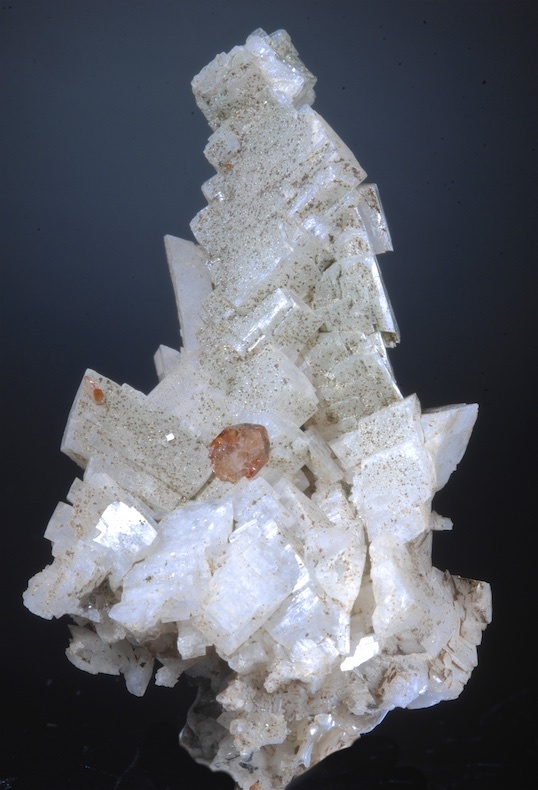 Titanite with Adularia, Byssolite, Apatite etc. An old Swiss classic Alpine specimen. 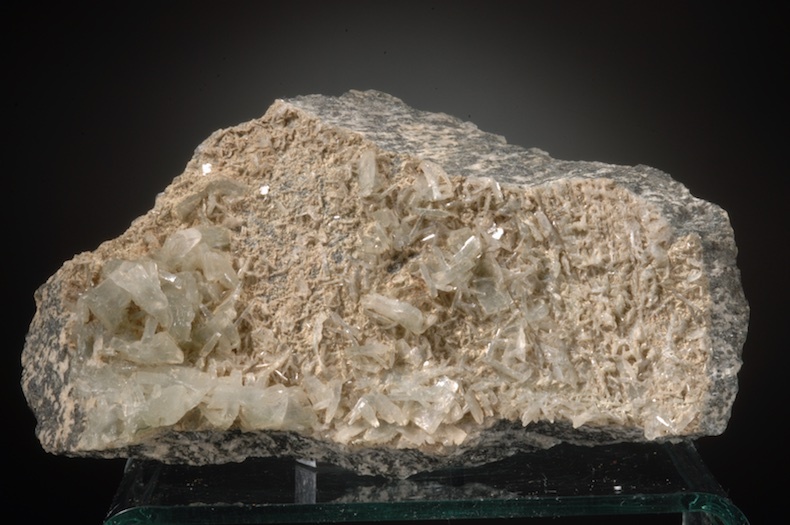 Complexly structured matrix hosts several minerals in layers with gemmy green Titanites on the top. Beds of Bysollite needles have well crystallized Adularia protruding and micro sprays of Apatite throughout. This displays the complex nature of mineralization in Alpine clefts very well. The Titanites crystals are up to 1 CM though most are smaller. Ex Charles M. Noll and Jim Dufoe collections.